The Volunteer Center is a one-stop resource for all things volunteer. For over 60 years, they have encouraged adults to serve, youth to build character, families to bond, young professionals to excel as leaders, mature adults to stay engaged and businesses to address community needs. 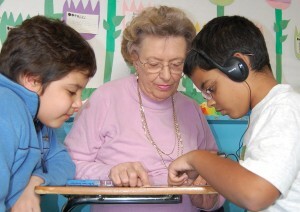 Through our online database at www.volunteer-center.org, we match volunteers to meaningful opportunities every day. Each year we inspire more than 18,000 people to give back. Over 246,000 hours of service were devoted last year to 500 nonprofits at a value of over $7.5 million. In September 2011, The Volunteer Center was designated one of ten Regional Volunteer Centers in the State of New York, covering the Mid-Hudson Valley. Through the generosity of the Helen Andrus Benedict Foundation The Volunteer Center is able to focus support for other grantees in Yonkers, recruiting and directing volunteers and providing agency training, forums for professional development and marketing support. Together we are creating a city where people 55+ are valued for their ability to create great communities and stay actively engaged.